Round two of the John Dorsey make-over of the Cleveland Browns has been completed with a flurry of extra free agency signings. 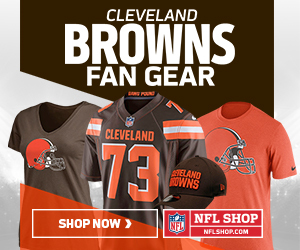 This phase of the free agency proceedings has seen four more players with playing time and experience join the young Browns roster. I really like this guy and have watched him for a while now seeing as my wife is a Detroit Lions fan and we watch their games every week. Primarily regarded as a good blocking TE, Fells has shown that he can catch the ball and score as well. He’s 31-years-old but that hasn’t stopped the Browns giving him a 3-year contract worth $12 million of which just over $6 million is guaranteed. I really like this signing as I think he’s a good player who could be said to have been overshadowed in Detroit by the fact that they were desperate to make Eric Ebron a success and therefore gave him more playing time. I get the impression they eventually gave up on that idea (as has now been shown by the fact that they have released him) and went with Fells more and let him play. It was towards the end of the 2017 season when I really noticed him as he was getting into the endzone more often and was playing a bigger part in the passing game. I also like this signing as I believe the Browns already have two good receiving TE’s with David Njoku and Seth DeValve, and adding Fells to the unit gives them a much better blocking TE than they’ve had previously. This is a massive signing and one that I believe removes any doubt that the Cleveland Browns will not be drafting Saquon Barkley at either #1 or #4 in this 2018 draft. I’d have loved to have had Barkley on the Browns roster but they now have much bigger needs to be addressing with those high picks (or trading down a little from #4 to a QB-hungry team in order to get more picks). Described as “a violent runner”, Hyde should be a great two-down back for the Browns with the excellent Duke Johnson being used as the 3rd-down/obvious passing down back because Hyde is a little bit of a liability in the passing game. PFF has him rated at 76.7 for running (which is good), 34.9 receiving and 28.3 in pass blocking. Basically, he’s either not interested in the passing game or just isn’t very good at it. Either way, he’s been brought in to fill the hole left on the roster by Isaiah Crowell as the downhill running first and second down back. Although the Browns will most probably be out of the conversation with regards to drafting the brilliant Saquon Barkley, I doubt very much they will be out of it when it comes to drafting one of the other many good RB’s in this class. I’m guessing someone in the second round like Guice, if he’s still there, Darby, Michel or Chubb. It all depends on how they have them rated plus they don’t have a pick in the third round, at the time of writing this, which is where I’m guessing quite a few of the RB’s could go. It could possibly be one of the above at the end of the second round as they still currently have the Philadelphia pick at 64. I’ll be honest and say that I don’t know too much about Terrance Mitchell other than he looks like he’s moved about quite a bit during his career with his best years being 2015 and 2016 when he graded at 83.3 and 82.7 with PFF which is very good indeed. His 2017 looks like it didn’t go too well as he only graded at 52.3, which is pretty crap. Yet again, I’ll have to trust the guys in the know on this one with him being another player John Dorsey has had links to in the past at the Kansas City Chiefs where Mitchell was in 2016-2017. I’d imagine he’s been brought in on the relatively low contract that will pay him an average of $4 million a year to give the team depth at the cornerback position with the hope that he may re-find that good level of play from 2015/’16. Cornerback was a definite position where the Browns needed desperately to add quality and depth. It’s really nice as a Browns fan to finally have a front office in place that can see the blindingly obvious and get things done at last. Don’t get me started on the previous front offices we’ve had to endure in Cleveland! I know I keep banging on about Pro Football Focus and how they have players graded, but it is a great way to understand a player and how good/bad they actually are. T.J. Carrie was rated as the 21st cornerback in 2017 with a very good 84.3 grade. He’s a good cover corner and was in on over a thousand plays last season with the Raiders, which means he’s reliable as well. He’s reportedly got a 4-year, $31 million contract ($15.5 million guaranteed) with the Browns, which averages out at $7.75 million per year. I think he’ll be a starter either on the outside or as a slot corner. He can and has played both. When he was just 15-years-old, Carrie underwent open-heart surgery to fix a defect but he hasn’t let this affect him and he was the most active of all the Raiders cornerbacks last season and also regarded as one of their best. Although they have already brought in several experienced players, John Dorsey stated in a press conference that we could well see him sign another 2-3 players from the free agency market. This wouldn’t surprise me as he’s also said that he doesn’t really want to go into the draft with holes on the roster that have to be filled. Personally, I still think we need a left tackle even though the buzz is that Shon Coleman is the leading candidate for that position after getting praise from the great Joe Thomas about it. PreviousBuy 1 Get 1 Free!